Lauren Scott began a lifestyle show at Northern based on her dream job. Five years later, her dream has come true as she co-hosts Chicago's Best. 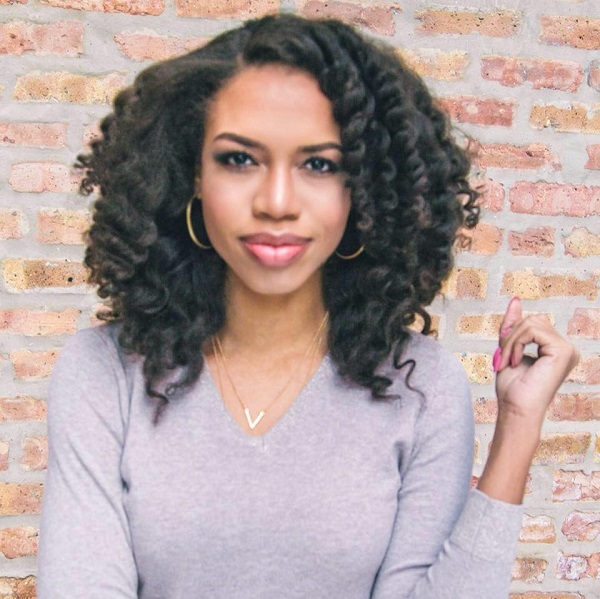 After working at several TV stations since graduating from Northern Illinois University in 2013 with a bachelor’s degree in broadcast journalism, Lauren Scott has landed her dream job as a co-host of Chicago’s Best at WGN-TV. Scott loves being part of the show, which introduces viewers to the best places to eat in town, because Chicago is where she was born and raised. As a South Side native, she is partial to deep-dish pizza and the Chicago White Sox. A lot more than luck got her where she is today. Her success stems from her drive to tell stories, her eagerness to learn about the people in the communities that she’s covered and her willingness to use her free time to learn the ropes to become one of the best in her business. When she landed her first job as a producer in Houston for KPRC-TV, she clocked in at midnight during her workweek and also came in on weekends. Being alone in a new place was also challenging. Besides working her regular hours, Scott made it a habit to go into the station at 3 a.m. on her days off to shadow the morning reporter. Through that extra effort, she landed a job as a reporter for the evening news at KOLN-TV in Lincoln, Nebraska, worked as a feature reporter for the entertainment segment there and produced weekend newscasts. She then moved on to KETV NewsWatch 7 in Omaha, Nebraska, to work as a morning reporter and cover the health beat. Scott showed her knack for television at Northern when she worked on her independent project called Inside the 815, a lifestyle program that she produced, edited and hosted. She based the show on Chicago’s Best, which she already had in mind as her dream job. Her teacher, Allen May, submitted the show for a Chicago Emmy and it was nominated. “Doing that project and working with Mr. May really engrained in me what I truly wanted to do,” she said. Some of her best memories are spending time on the speech and debate team. She felt so comfortable with the group that her team members felt like siblings and long-time forensics coach Judy Santacaterina was like having a second mother.